LEAVE YOUR TRAINING WHEELS AT HOME! This class is designed for a group of 6-10 children who need a little extra help learning to ride their bike. Members do not need to be Therapy Spot clients. Many children who attend bike group resist coming to the first session or are nervous about attending the group. This is perfectly normal, so please don’t let fearfulness about bike riding deter you from signing up your child. 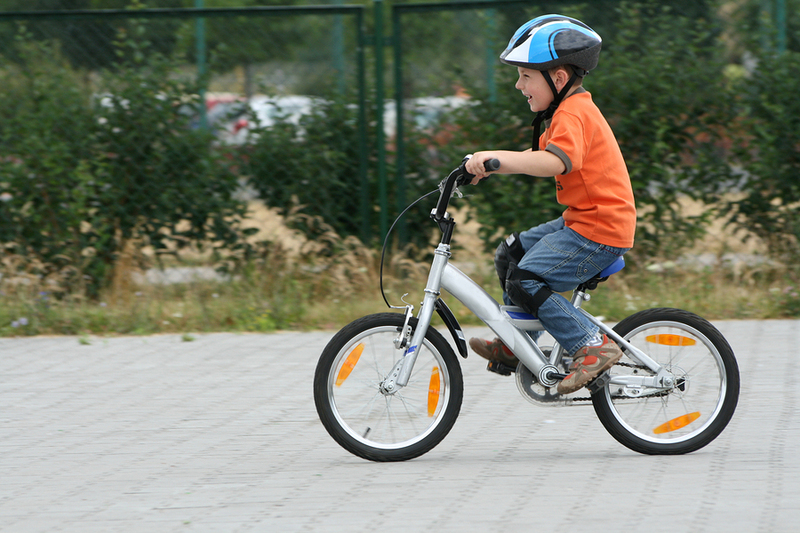 We provide a VERY safe and secure environment and approach to bike riding and your child will go at a comfortable pace. The most important part of bike group is that your child feels safe and has FUN! What to Bring: Children are required to bring a bicycle without training wheels, a helmet, and a water bottle. Please adjust the seat height on the bicycle so that your child’s feet touch the ground with ease. **If you are planning on buying a new bike for your child prior to this class, we suggest buying a cheaper one (from somewhere like Target) to learn on. It is better to get a bike a little on the smaller side, where at the lowest setting your child can sit comfortably on the bike and have both feet flat on the ground. Please don’t hesitate to call us if you have any questions.